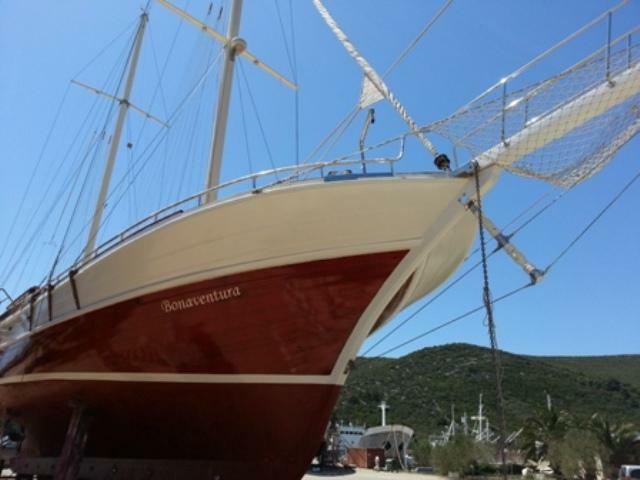 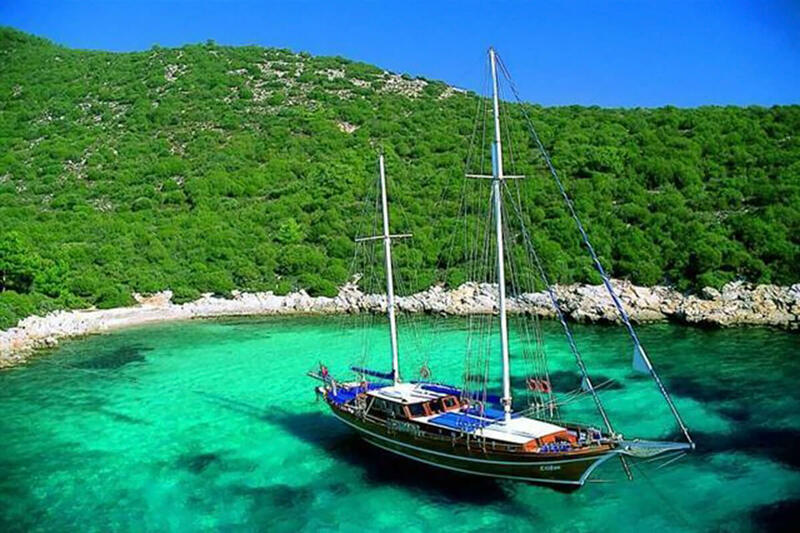 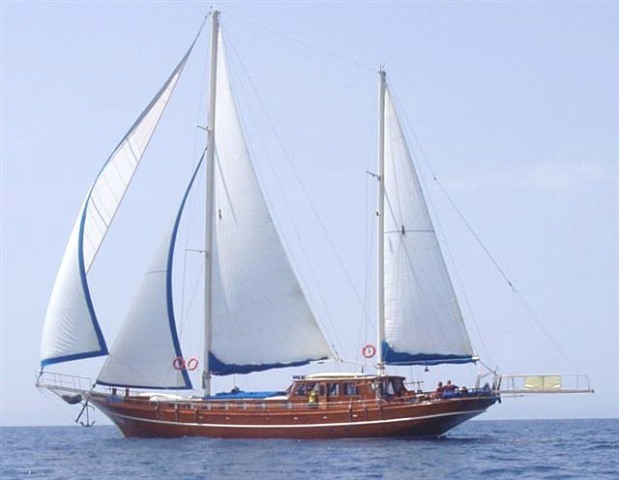 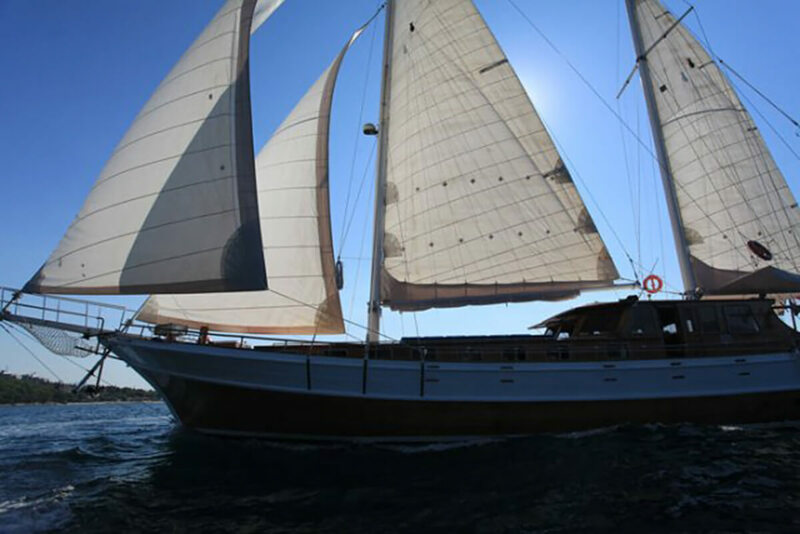 Sailing gulet BONAVENTURA was launched in 2004 and measures 28,5m (93,4ft). 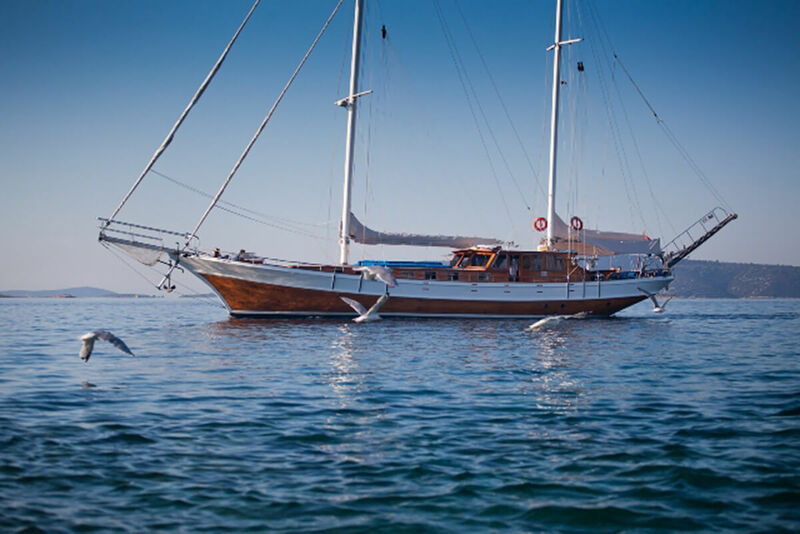 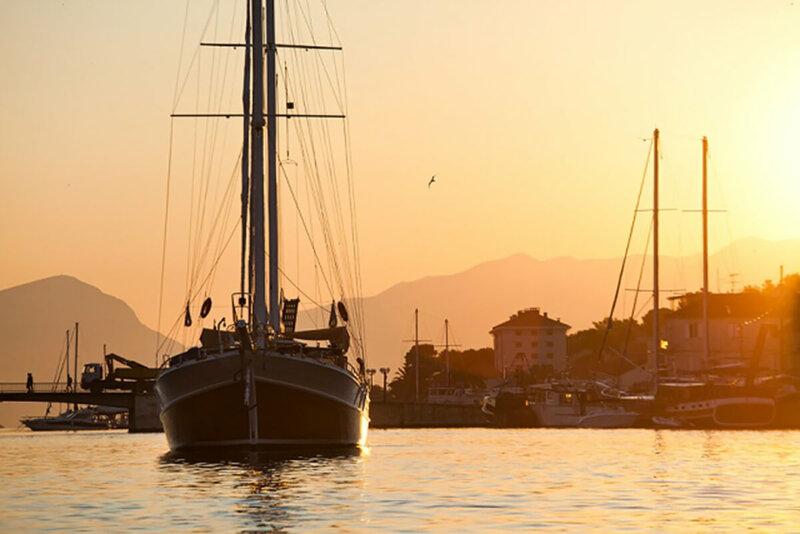 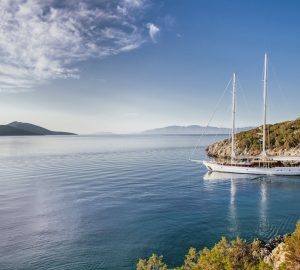 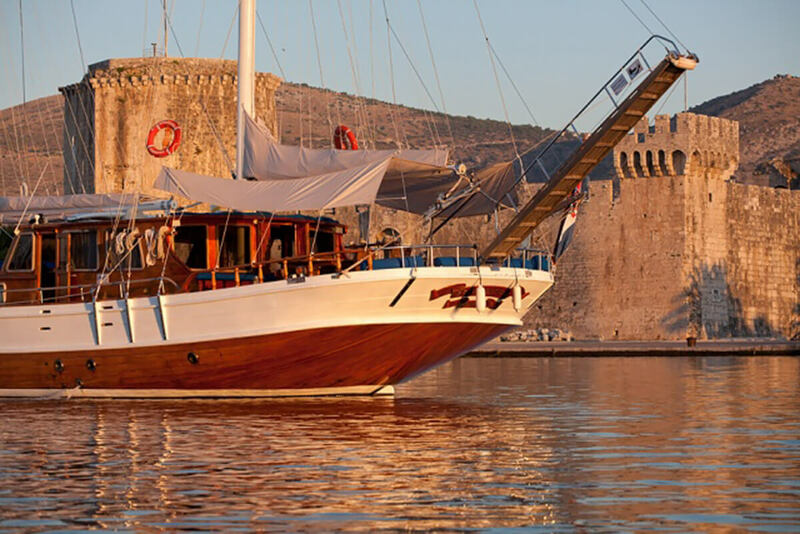 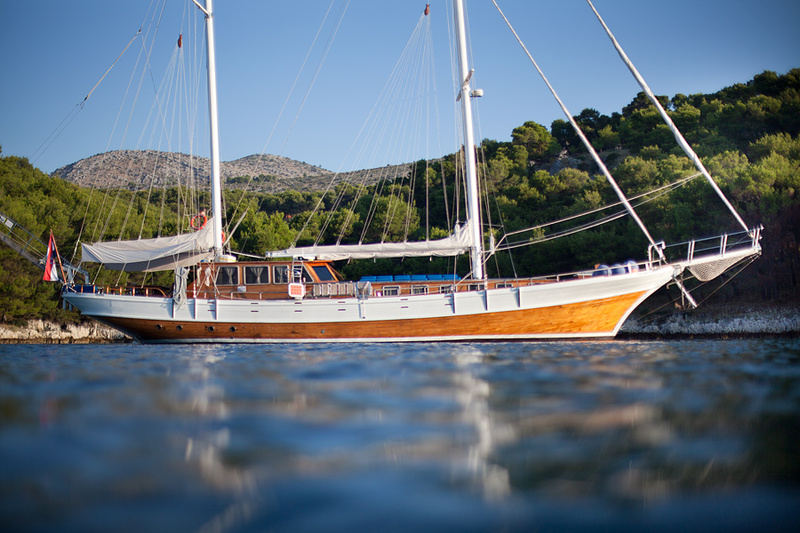 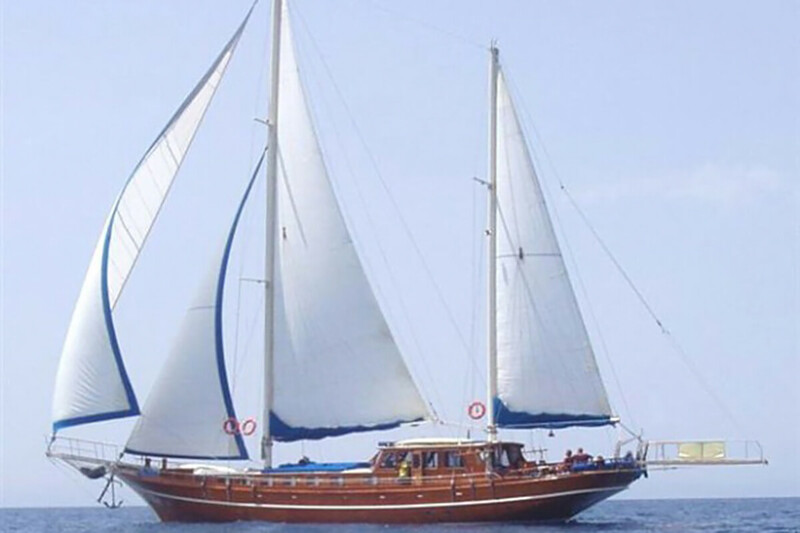 This traditional East Mediterranean sailing yacht offers accommodation in 2 large triple cabins, each with an additional single berth, plus 4 double cabins. 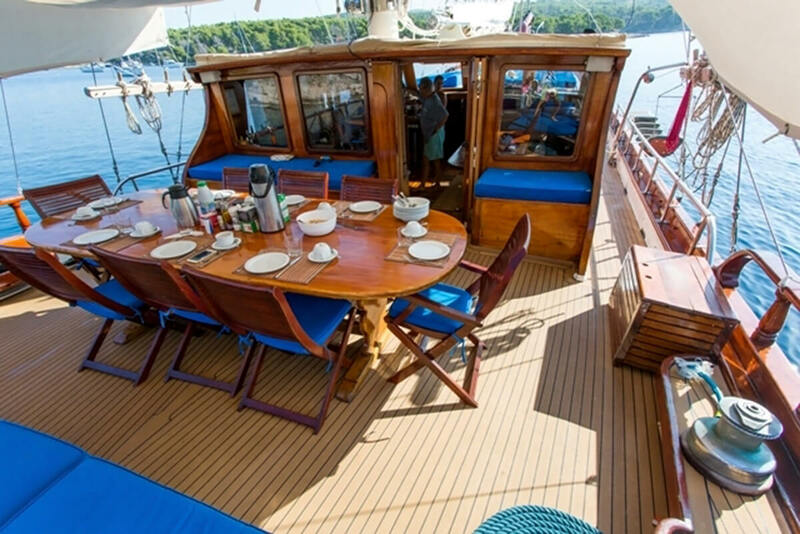 The interior decor is contemporary, featuring fine mahogany woods and neutral soft furnishings. 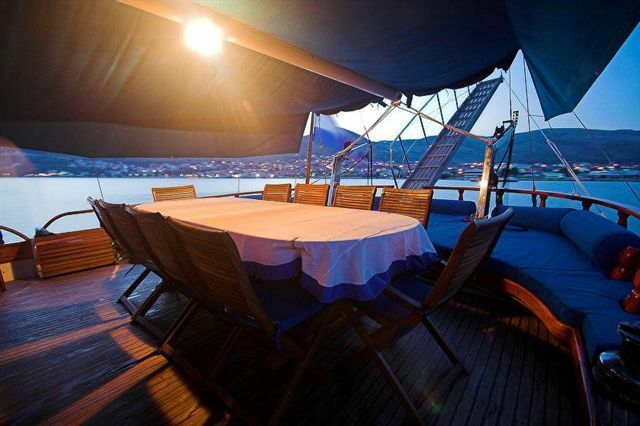 The salon is an open plan and set in a raised position, allowing for panoramic views and ample natural light. 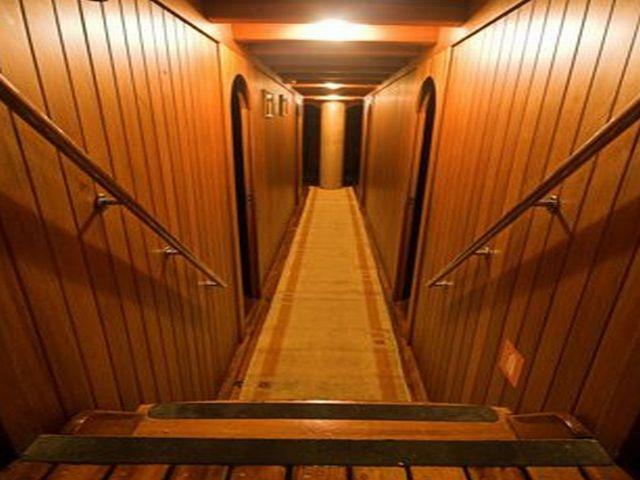 Accommodation is forward of the salon. 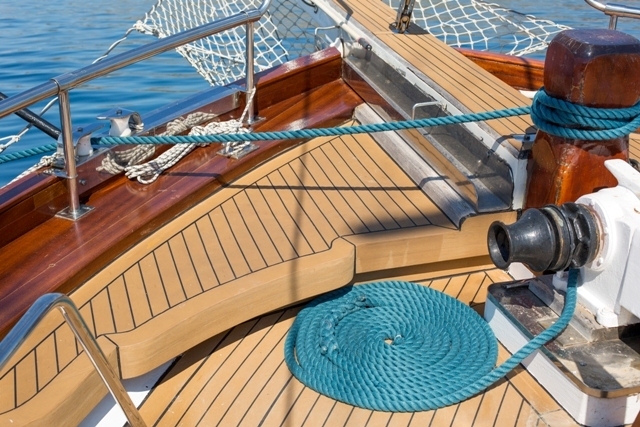 On deck there are plenty of great relaxation options to enjoy. The aft deck is shaded and offers an alfresco dining table and large full beam aft sunpad. 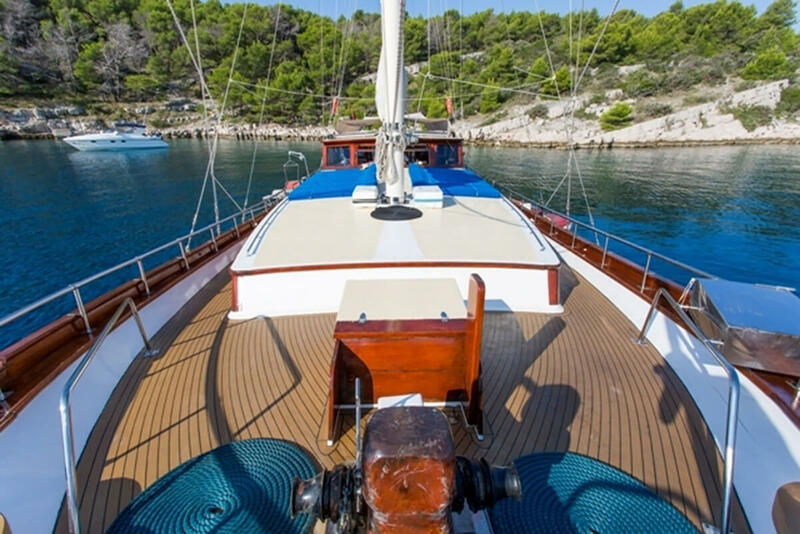 Side decks lead to the spacious foredeck and further sunpads on a raised sundeck. 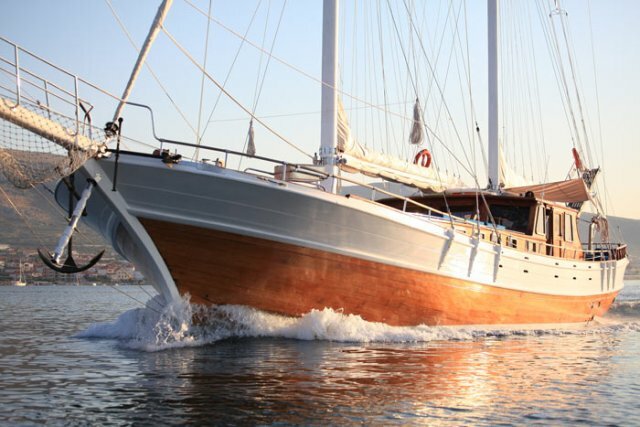 Powered by a Leland 320hp engine, BONAVENTURA cruises at 8 knots and has top speeds of 11 knots. 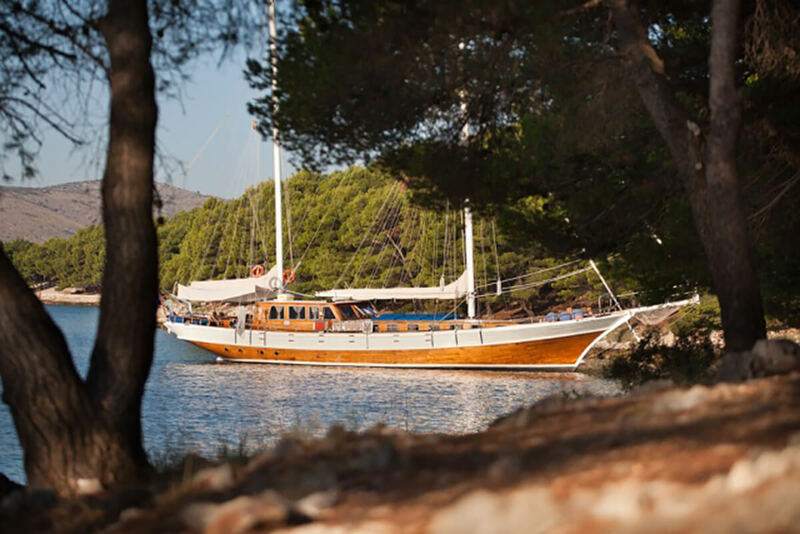 S/Y BONAVENTURA offers accommodation in 6 cabins for up to 14 guests, in 2 triple cabins and 4 double cabins, each with private en-suite facilities. 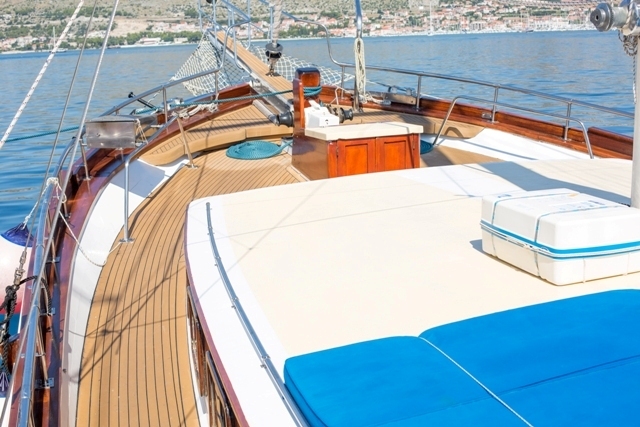 The yacht is fully air conditioned for optimum comfort.